View More In Agriculture & Grounds Management. 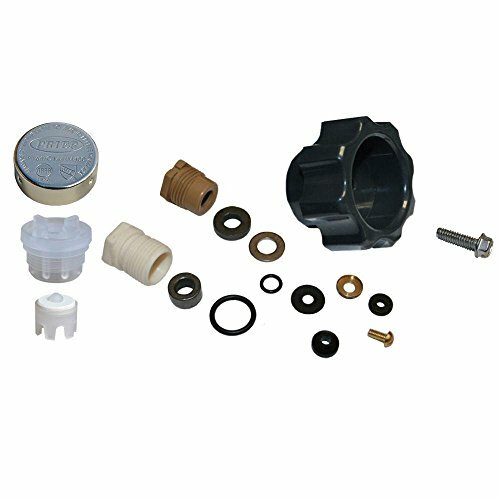 Prier products 630-8500 mansfield style Complete service kit includes repair parts for the original 300, 400 & 500 series mansfield style hydrants & Diamond 300 & 400 series hydrants. It combines all parts from our 630-7500 vacuum breaker replacement kit. 630-7965 handle & screw replacement kit, & the 630-7755 service repair kit. If you have any questions about this product by Prier, contact us by completing and submitting the form below. If you are looking for a specif part number, please include it with your message.